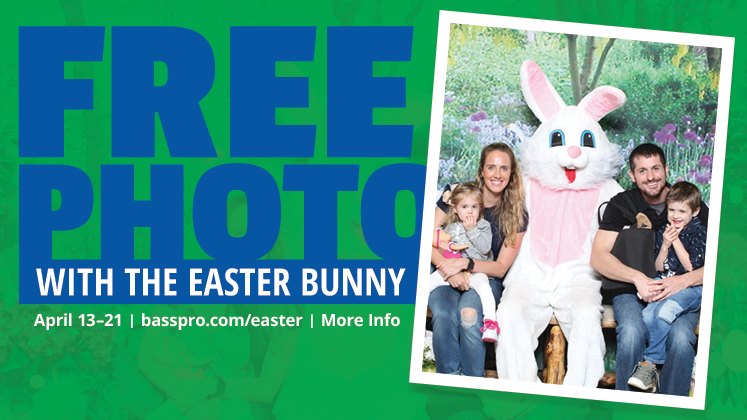 FREE 4X6 Photo with the Easter Bunny, one per family. Additional photo packages are available for sale and are printed while you wait. 10X extra CLUB points on the purchase of any Easter photo packages. * Supplies are limited. While supplies last. Saturday, April 20th, 2:00 - 3:00 pm. Registration begins at 1:30 pm at the information table. We will supply a plastic bag for the kids to use while egg hunting. After the children find 5 eggs throughout the lower level of our store they can return to the information table to exchange the eggs for 5 pieces of candy. *Parents please help the children to only collect 5 eggs. You will receive a FREE personalized video with your Easter photo if you choose to give us your email after your photo has been taken. *We appreciate your patience when the Easter Bunny takes his breaks during the photos. 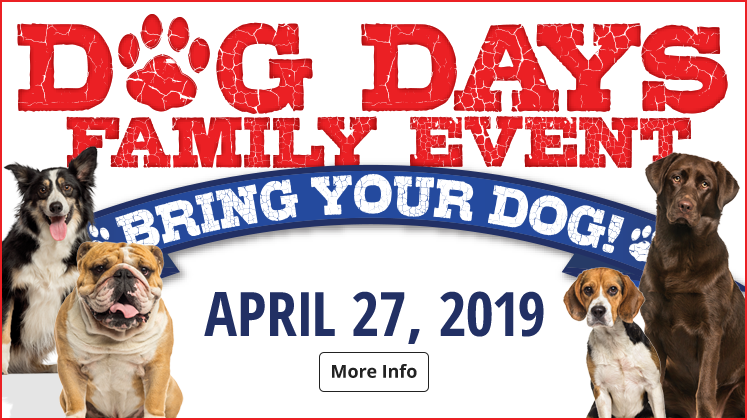 Join us for a fun day with your furry buddies! We will have Free Photo Downloads of your adorable dog. Free treat bags for the first 100 customers to come to the event, plus more! Also a class to learn a more about your furry friend. Voted the # 1 outdoor gear retailer by Sporting Goods Magazine, Bass Pro Shops Outdoor World is the place to visit in Arizona. We are located South of Loop 202 (Red Mountain) and East of Loop 101 in Northwest Mesa. Here, we offer 170,000 square feet of outdoor excitement including the area's largest selection of quality gear for fishing, hunting, camping, boating and marine. 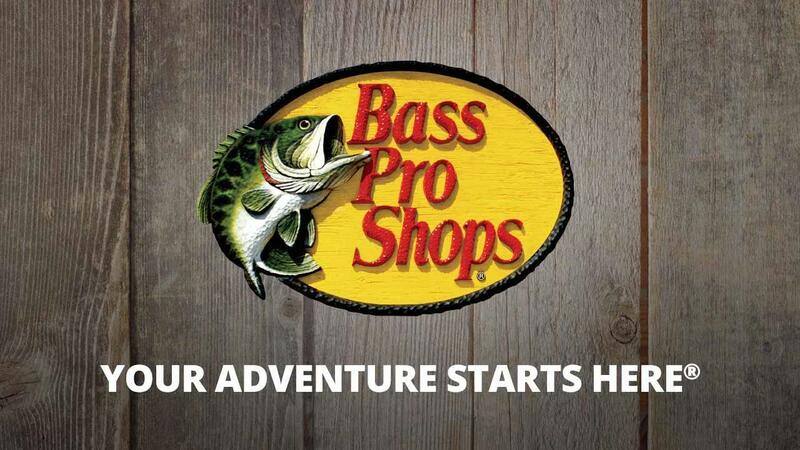 Bass Pro Shops also offers equipment for hiking, backpacking, outdoor cooking, kayaking, golfing and more. Shoppers will find outdoor apparel for men, women and children, along with a fine selection of outdoor, casual and athletic footwear. A gift and nature center serves up a wide variety of outdoor-related items from lamps and dishes to bird feeders and furniture. Our shooting gallery and archery range are sure to please young and old alike. Known for bringing the outdoors indoors, Bass Pro Shops Mesa features over 3,500 area antiques and artifacts, more than 400 trophy fish and wildlife mounts and many grand murals depicting scenes reminiscent of the area making it a true destination experience. Just inside the entrance you’ll be amazed at our two-story lodge-inspired lobby area with welcoming fireplace and our 60’ clerestory…a must see! our 18,500 gallon freshwater aquarium offers an up-close view of our trophy-sized cat fish, bass, striper and blue gill most obtained from local waters. Join us for our Live Fish Feeding with an informative narration on Saturdays and Sundays at 2:00pm and Tuesdays at 6:00pm. Also, everyday kids can help us feed the trout in our Trout Stream at 1:30pm. Interested in learning a new outdoor skill or improving existing ones? Outdoor Skills Workshops are for adults, kids and families that will help maximize outdoor fun by teaching new skills and improving existing ones. Watch for the Bass Pro Shops Outdoor Skills Workshops schedule. These are free classes that will be offered on a regular basis and will include topics like bass fishing, fly fishing, meat processing and predator hunting. 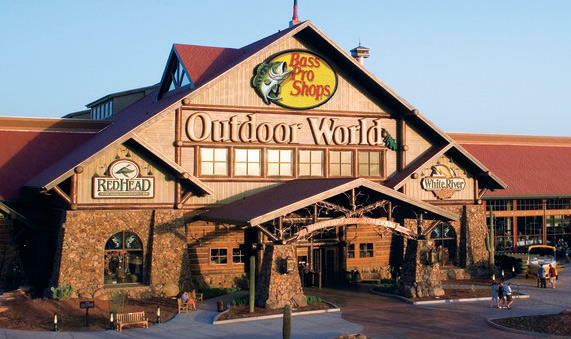 Widely recognized for their efforts in conservation and outdoor education, Bass Pro Shops has received more conservation awards than any other outdoors retailer. Bass Pro Shops is also proud to sponsor Hunter’s Safety Education through the Arizona Department of Fish and Game for those wanting to obtain a hunting license. Call customer service at 602-606-5600 for more details. Get all your hunting and fishing needs right here at Bass Pro Shops, including your hunting licenses and fishing licenses. We offer a wide array of tags for resident of Arizona or non-residents… including Tonto Passes! Our 11,090 square-foot Islamorada Fish Company restaurant (pronounced 'eye-la-mah-rah-dah') features seafood entrees, smoked meats and wild game, rotisserie prepared fowl, great steaks and more all in a relaxing 'Florida Keys' atmosphere. Don’t forget to try the alligator appetizer or just sit, relax and have a drink overlooking our 11,000 gallon salt water aquarium, which hosts around 150 fish from about 50 different species. Impressive decor, giant aquariums, wildlife mounts, delicious food, and the best selection of outdoor gear in the state. All of these make Bass Pro Shops the perfect attraction for the sporting family.